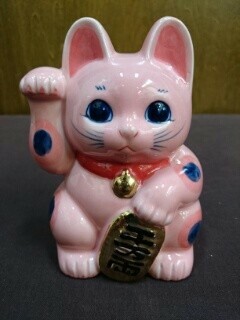 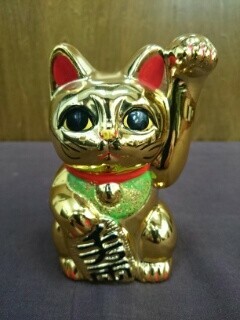 The original Lucky Cat It brings great Fortunes. 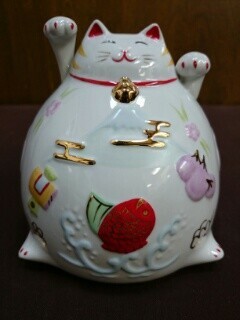 From the old days the "Lucky Cat", "Otafuku" and "Fukusuke" have been widelyfavorized for business prosperity, family happiness, and the calling of many customers. 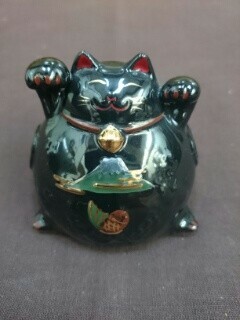 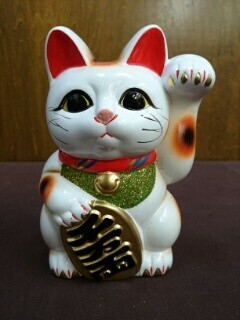 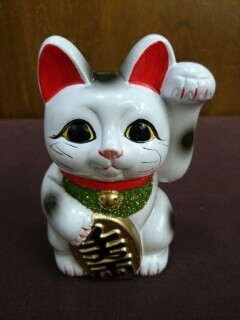 It is said that the Lucky Cat with it's left paw raised brings a thousand customers, and with it's right paw brings a fortune of money. 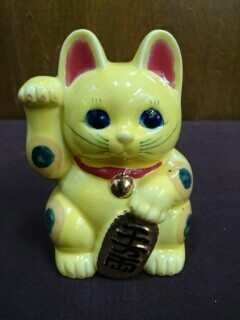 Now we have the chance for you to have one in our home. 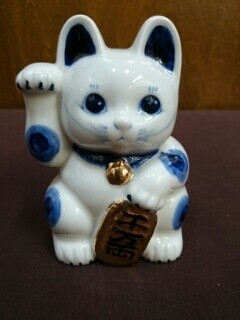 Please care for it forever.